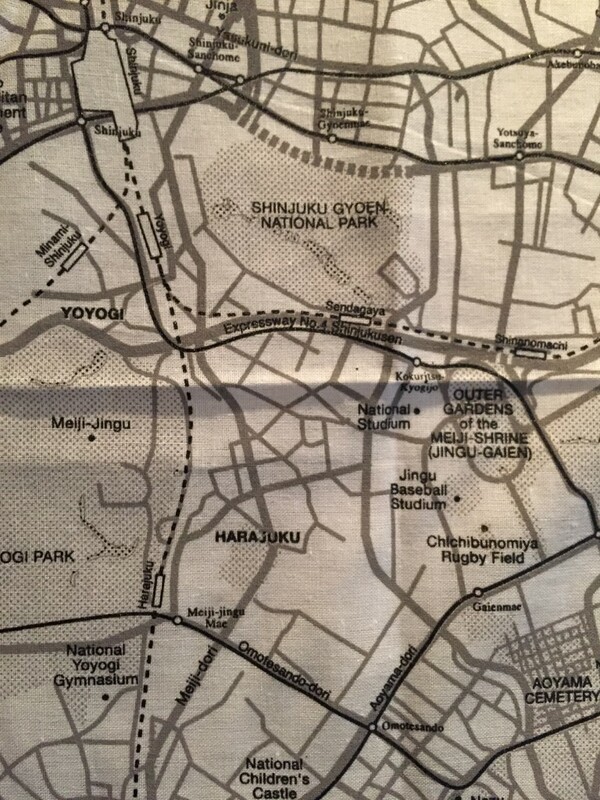 The North American flagship of Japanese retailer MUJI is giving away Tokyo map handkerchiefs. 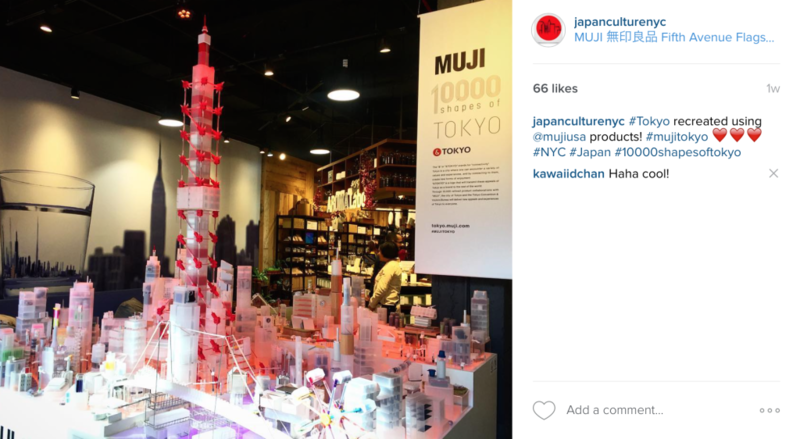 Simply go to the MUJI on Fifth Avenue, take a picture of the diorama of Tokyo, and post it to Instagram to receive your free gift. You need to post the picture while you’re in the store, tagging @mujiusa and using the hashtag #MUJITOKYO. Show a store associate your photo in the Instagram app, and the map with parks, subway stations, and tourist attractions is yours. The promotion is slated to run through Sunday, April 24 while supplies last. As of this post almost 1,500 tweets with the #MUJITOKYO hashtag have been posted on Instagram. That’s a lot of handkerchiefs. 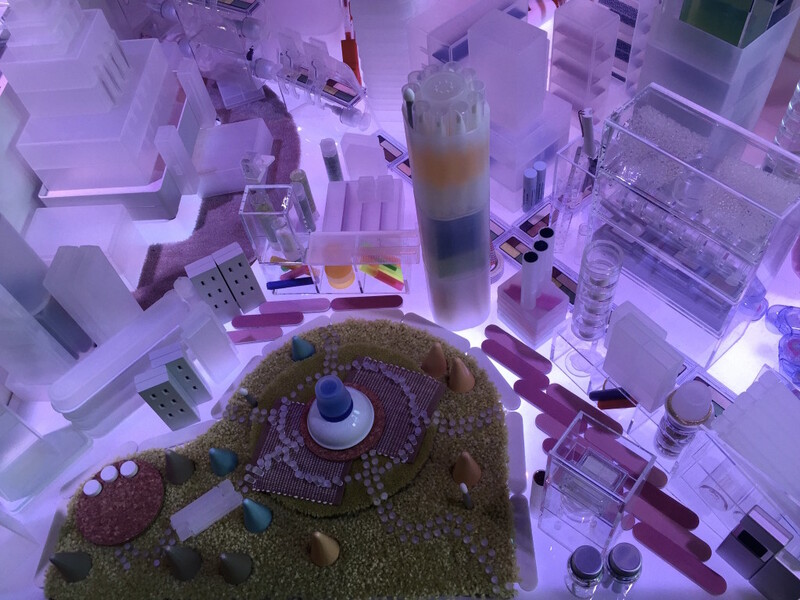 The interesting thing about the diorama is that the city of Tokyo is recreated using everyday products that you can find in the store. 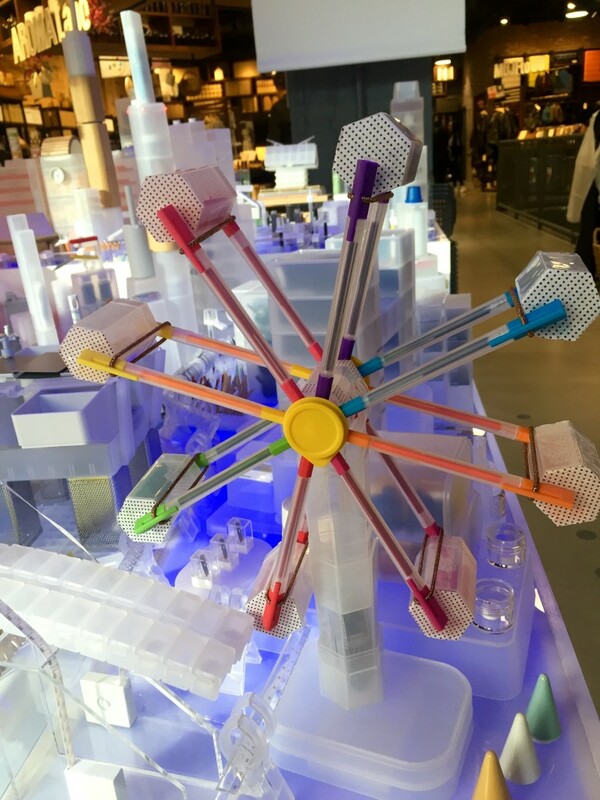 The spokes of the Daikanransha Ferris wheel in Odaiba are made of MUJI’s gel pens, plastic storage containers stand in as buildings, and aroma diffusers give the allusion of steam rising throughout a bustling city. 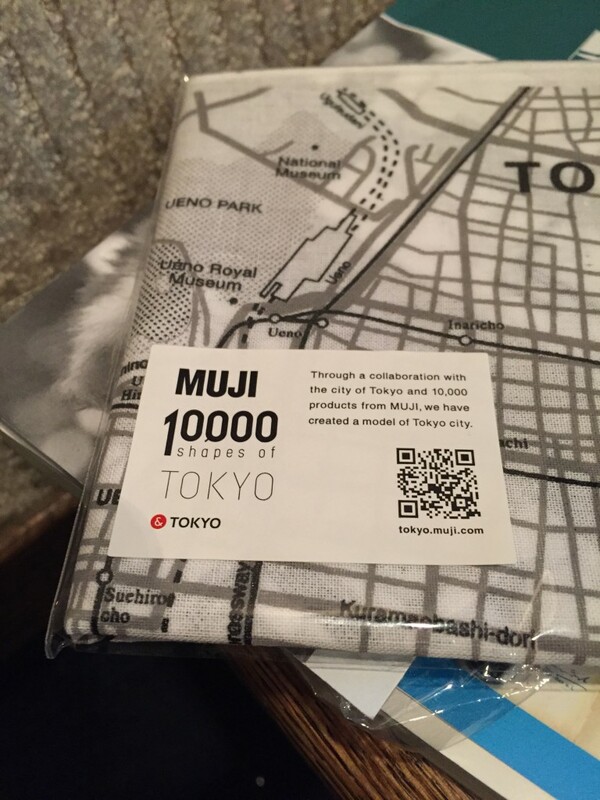 The model is the result of a collaboration between MUJI and the city of Tokyo. 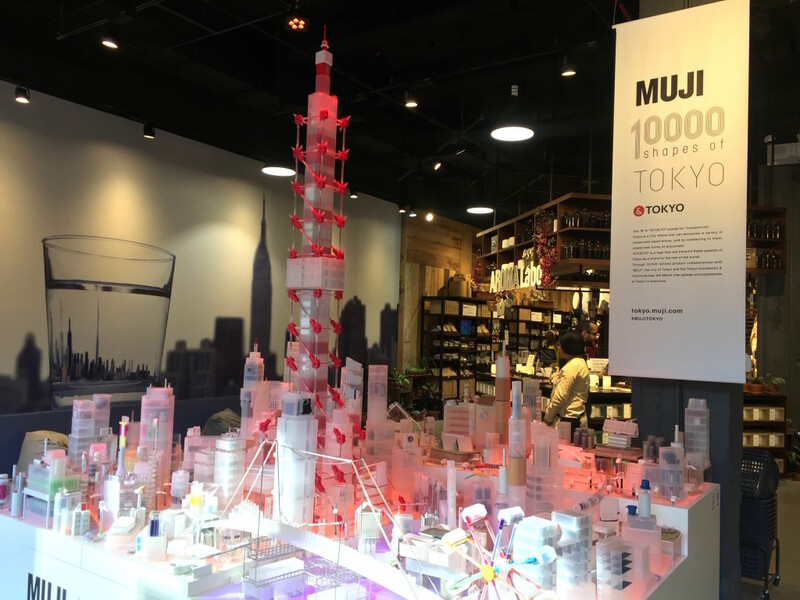 Check out the video of the MUJI 10,000 Shapes of Tokyo. Monday – Saturday from 10:00 a.m. until 9:00 p.m.
Sunday from 10:0 a.m. until 8:00 p.m.